Guess what! Amanda agreed to guest post for me today. Isn’t that great? Welcome her with me to my blog today. 🙂 She’ll be talking about Four Essentials of Child-led learning. Student led learning has taken us through world war 1 this year. “Mommy, what’s this?” Sicily questioned as she pulled out her kids’ meal toy. “It’s an arctic fox.” I replied. We headed to the tablet to look up videos on the arctic fox to learn a bit more about this little stuffed animal she got. The video we found was a snippet from a documentary with an arctic fox searching for food. These little guys hop up and nose dive into the snow to catch small prey. Sicily giggled non-stop while watching the fox catch mice in the snow. From there we read books, did a few process art creations, and even pretend we were arctic foxes hunting for mice in the snow. This love of arctic foxes extended into more arctic animals, so we started to study the polar bear, penguins, and orca.We learned about blubber, ice, and how penguins stay dry. All this learning from a single fast food kids’ meal toy. That’s the beauty of child-led learning. One small experience can spark months of learning and many different avenues to travel down. In our house we follow a child-led approach to learning. That means I follow my kiddos interests for topics of study. Then I follow their lead with academic skills as well. I wait until they are 100% motivated and ready to learn each specific skill. But it wasn’t always so smooth. I had many failures in our quest to learning at home. But through all those failures and over 11 years of teaching experience, I’ve discovered the 4 essentials to child-led learning. Child-led learning doesn’t mean you have to give up all control. You are responsible for the 4 essentials. When you get these 4 essentials to child-led learning correct, your days become peaceful and your child begins to learn quickly. 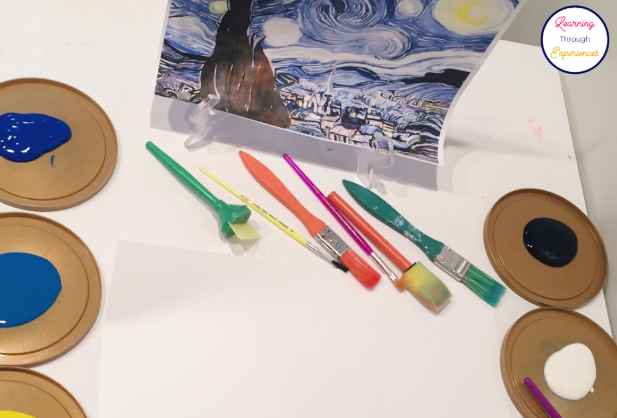 You’ve probably heard from a Reggio approach to learning that the environment is the third teacher. Well I’ve always been an overachiever. I strongly believe that your environment is the first teacher. Your environment is more than just your homeschool room. It’s your whole life style. Child-led learning is more of a lifestyle than a learning approach. This also includes the experiences you give your child, and most importantly your everyday experiences. Have your kiddo help you do household chores, including help pay the bills, cook dinner, and fold the laundry. The environment in which you provide your child and the experiences you give them, is what ultimately decides their unique learning timeline. You control the environment. The environment controls what your child learns. Your child controls WHEN and HOW they learn. Having an environment that supports your child’s interests and the skills you want them to learn isn’t enough. 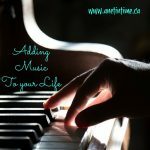 You need a relaxed routine that gives them plenty of time to explore in the environment you created. On a typical day, we plan to have 2-3 hours in our homeschool room with no structure except our morning meeting. During this time, my kiddos explore whatever I’ve place in the environment. There are always open ended toys, learning games for specific skills they are working on, and invitations to play, create, and explore. I have a table with materials/books from our current theme for them to explore at any moment. We try to follow the Montessori 3 hour work period. During the first hour, my kiddos explore and choose freely what they want to play/learn. The second hour, called false fatigue, usually ends up with them dancing, playing music, or chasing each other around in a circle. This is the hardest part, but according to Montessori it’s needed to reach maximum concentration. This second hour is sort of like their coffee break. I tend to leave a snack on the table once they hit this time that they can choose to eat if they want. Most of the time, we cut back on a lot of the chaos of this hour because they almost always choose to sit and eat a snack. About 45 minutes later it starts to get quiet again. The kiddos are entering the third hour where deep concentration happens. Their brains are ready to learn new and more challenging skills. This is the time I will invite them to do the works I want them to do. Sometimes I will ask them to join me in an activity whereas other times I will sit down and start working on the activity myself. Most of the time they will join me, but not always. It’s their choice. Learning doesn’t require a huge storage of materials or complicated activities. I rarely go out and buy new materials. We use what is available around the house or out in nature. Many of our activities are done with rocks and sticks. It’s so true when it comes to educating our kiddos. The simplest of activities will be the ones that attract them the most and will have the most learning. Because with simple activities and materials, the brain only has one thing to concentrate on. When you have a bunch of moving parts their brains will most likely focus on the skill you don’t want them to learn. 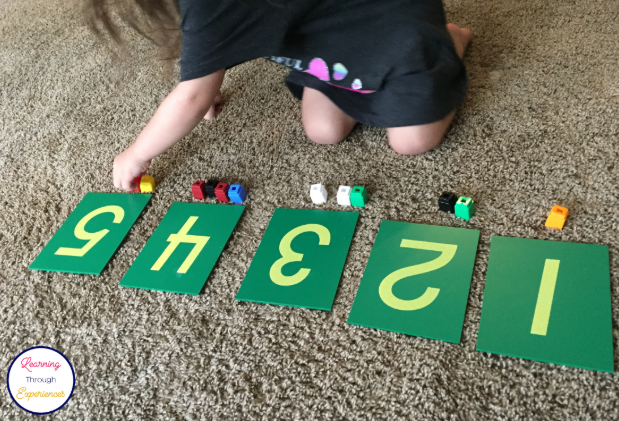 Take for example, the ever popular preschool activity of tracing letters on a line. It seems simple, but is it really? In order for the child to trace on the line, they need to first have the development and strength in their eyes to focus on the lines. Then they need the hand strength and hand-eye coordination to be able to stay in between the lines. On top of that, they need good fine motor skills in order to hold the pencil correctly, so they have the pencil control to stand in between the lines. They need to form the letter correctly. In order to do this activity perfectly, your child needs to be developmentally ready in all those areas which doesn’t happen until around 5, sometimes even 6, years old. Hand them a blank piece of paper and a pencil. Their only focus then will be on letter formation. With enough practice, your child will begin to write smaller and smaller as their muscles develop. There is no need to ever introduce lines until about first or second grade. This essential to child-led learning is the most important, but the hardest of them all. You must trust the process, trust yourself, and most importantly trust your child and their unique learning timeline. Your environment controls what your child learns. Your child decides when and how they will learn it. 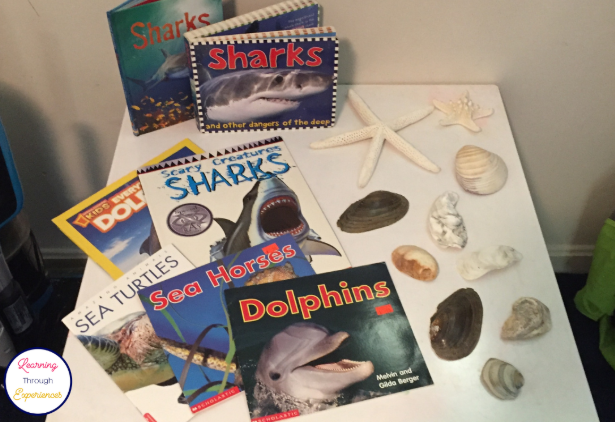 Set up your environment for success by providing materials/books for learning about their interests and the skills they are ready to learn then trust that your child will learn what needs to be learned on their own timeline. Ready to get started with child-led learning? 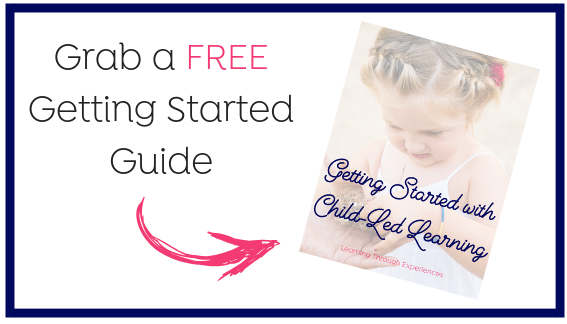 Click here to download our getting started guide. To learn more about how we implement child-led learning into our homeschool preschool, click here for our Ultimate Guide to Homeschool Preschool. Amanda is the owner of Learning Through Experiences where she helps beautiful mama’s homeschool their kiddos using a child-led approach without spending a lot of time planning & prepping. She is a former elementary and preschool teacher with over 11 years experience. Amanda has 2 kiddos of her own, Sicily & Kade, who follow this exact child-led approach that she advocates. Amanda is the creator of Learning Through Experiences: A Child-Led Curriculum. In her spare time, she likes to read, garden, and relax in a bubble bath. This was so helpful! I’m still a newbie homeschooling my kids. Any type of resource is always nice to have. I LOVE this! It is so true (so hard sometimes) to trust the process. the things that matter most to them. We are “unschoolers” of a sort – I hold on loosely most of the time. Certainly always working to find ways to inspire them and give them things to ponder. Very interesting!! I think this method would make sense for young children. I do like this process! My kids are in public school (I made the heartbreaking decision that they both needed more than I could give them due to autism and sensory processing… long story), but we use this method to expand on things they learn in school or to learn things they haven’t gotten to yet. It’s so stress-free and a lot of fun. This is also how we summer school. it’s an excellent tool to help excite learning. As your children age, you change your style to suit their current needs, but following their interests continues to be part of how they learn. I loved homeschooling my kids. 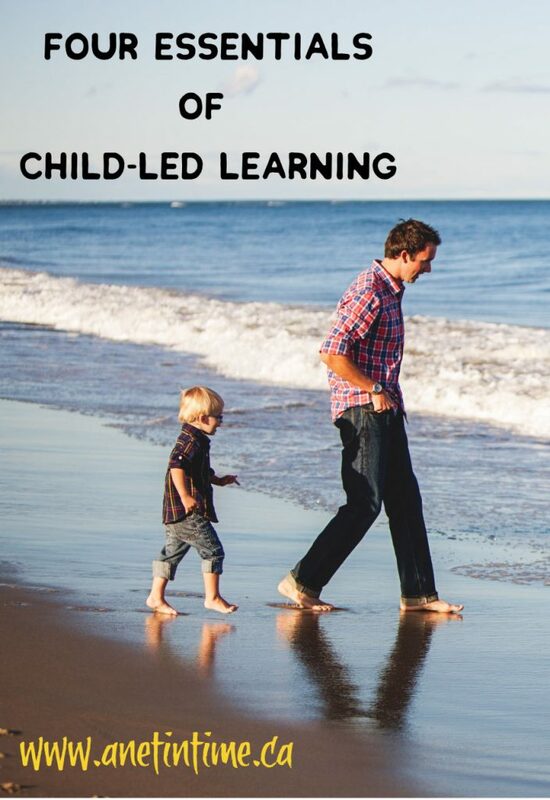 I tried all sorts of methods like unschooling and more structured and found that the best is to let the child lead and go with their natural learning style. And definitely to trust the process! using the interests of each child is definitely a help in educating them. These are great tips for teaching your child at home. I like how you broke down your schedule and gave reasoning behind your methods! This was really interesting. I’m a firm believer in play-based and child-led learning. You need to be able to engage your children to truly learn. We are a lot more structures with routine though, by the sounds of things. I actually recently read a study that children learn 20x faster when it’s a play-based activity of interest VS. regular lesson…very cool. play and hands-on frequently works well in teaching children. I always wanted to try this, but I was too scared to try it. I bet you are having fun. you should jump in. Educating your children and following their interests is a great way to help them learn. This was refreshing to read. I do a bit of child-led/interest learning in my homeschool. The older they get, the more structure I add but its overall an amazing method to incorporate! it is, isn’t it? Following interests is a great way to learn. I enjoyed reading this. I love letting the children move forward in their interests. As they grow older, it looks a bit different and it costs a bit more (time and driving and materials that are more specialized) but is still super important. We are hitting more and more of this as we have moved into high school – still striving to allow her to lead in interests. It’s hard sometimes figuring out what the interests are as they get older… when they are interested in some many different things. I think trusting the process is quite possibly the most difficult part for me.